The Cliffs Communities are an undertaking unique in the world of golf course realty and country club living. There are seven distinct Cliffs developments strung across the Blue Ridge Mountains, from Asheville, N.C., south to Greenville, S.C. The Cliffs are outdoor and active lifestyle communities surrounded by more than a million acres of protected National Forest. All are within reasonable driving distance of one another, and a single membership at any one of The Cliffs provides access to the impressive array of amenities across all seven, which are set on lakes and in mountains. One lies just outside of charming Asheville, which makes all sorts of "best U.S. town" lists. The array of shared facilities is unparalleled and includes clubhouses, wellness centers, hiking trails, tennis courts, equestrian centers, marinas, restaurants, a winery and seven golf courses by top designers including Jack Nicklaus, Tom Fazio and Ben Wright. 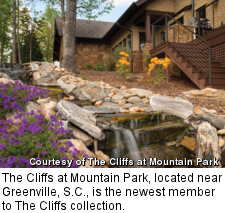 The newest addition to the collection is The Cliffs at Mountain Park, just outside Greenville, S.C. Mountain Park spans 5,000 acres of rolling ridgelines on the southern edge of the Blue Ridge Mountains, a site characterized by mountain peaks with elevations reaching 1,800 feet, clean streams tumbling down in waterfalls and long range vistas, all with mild weather most of the year. Like the other Cliffs Communities, it is focused on wellness and an active lifestyle, and amenities include a "super trail system" with 8.5 miles of hiking and biking trails within the property for members only, laid out around the community's social centerpiece, the Green Pond Pavilion. There is also easy access to countless more miles of trails in the surrounding National Forest, and the region is lauded for road cycling. The large Green Pond is suitable for canoeing and fishing, with a lavish lakeside pavilion for barbecues and family picnics. 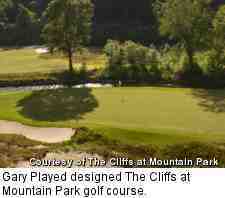 The Mountain Park golf course, designed by Gary Player, opened in September 2013. 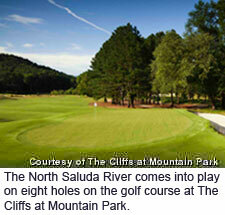 It is dramatically different from those at the other Cliffs, a links-inspired bump-and-run design set in a wooded valley along the North Saluda River, which comes into play on eight holes. 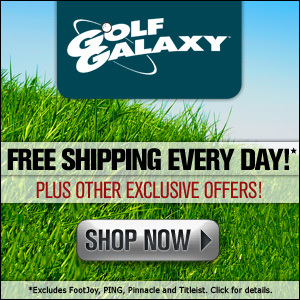 There is also a 12-acre lake that runs along holes 11 and 12. The course stretches out to 7,218 yards, but despite the length and water it's quite playable, with wide fairways, gently contoured greens and generous collection areas. In keeping with Player's famous fitness aesthetic, the course is intentionally walkable, with tees close to preceding greens, and it was carefully routed to protect and emphasize native flora, fauna, trees and grasses and to allow these to flourish. Its location is also very accessible to the two closest siblings, The Cliffs at Glassy and Cliffs Valley, which both ring Greeneville. Glassy, which sits at 3,200 feet atop Glassy Mountain, was the first Cliffs community, and its Tom Jackson-designed golf course offers 50-mile views. There is also a wellness center and tennis. Cliffs Valley is home to the most popular course in the portfolio, a very player-friendly layout designed by Wright, along with a grand clubhouse, expansive wellness complex with tennis and basketball courts and indoor and outdoor pools, plus a nature center and hiking trails. 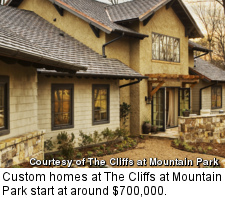 There are a wide variety of real estate options in The Cliffs at Mountain Park, and home-sites range from .5 to 10 acres for $100,000 to $1 million. Custom homes start around $700,000 and run up to $2 million. There are currently almost 90 completed homes within the community and the newest offering, The Creekside Cottages, is a collection of developer built homes with several different plans starting in the $700,000s.